It is that time of year again! 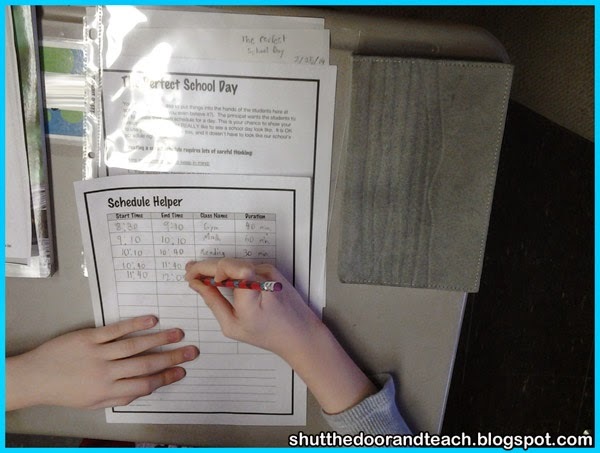 State (math) testing took priority over blogging and creating. 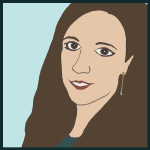 Now that it's over, I wanted to share how I prepared my fourth graders. One thing that I did NOT do this year was a countdown. I used to do one for the month before the test. I've seen some teachers do really FUN countdowns. However, I decided that maybe counting down just adds to the kids' stress. 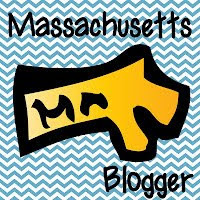 I'm not saying I didn't mention that MCAS was coming. I certainly made sure they knew the day before (they don't get homework that day and they know they get to bring gum to chew). But there was no written countdown in my room. Instead, the Friday before the test my grade level partner and I held our annual MCAS Review Centers, in which we combine our classes! The last time we got our classes together was for the 100s day competition and my class did NOT enjoy it (because they lost, aww). On the other hand, this time around they knew the goal was to work together. 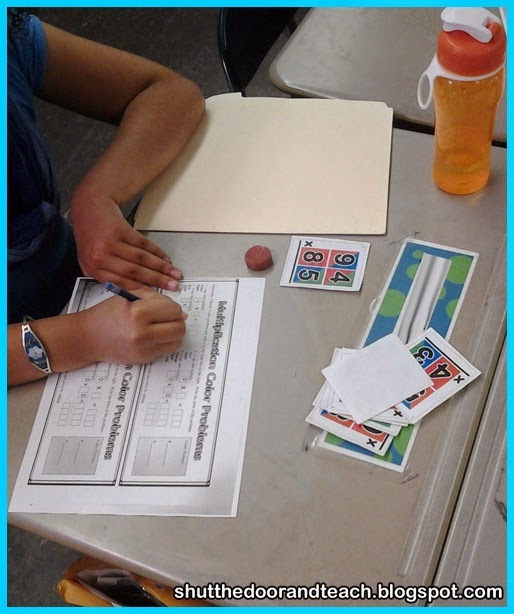 While they were working in their own classroom, they were the "experts," expected to teach the kids in the other class how to play the games. They took this responsibility very seriously. Nervous boy: "But what if we forget how to play?" Clever girl: "Read the directions." Supportive boy: "Yeah, Mrs. Thomas writes the directions on everything." This year we had 3 rotations, targeted to fit the kids' strengths and weaknesses. I wanted to make sure my advanced kids got to try something they hadn't before, my lower kids got to teach something they were comfortable with, and of course everyone had a chance to work on something they needed extra practice with. I think we got the balance just right. 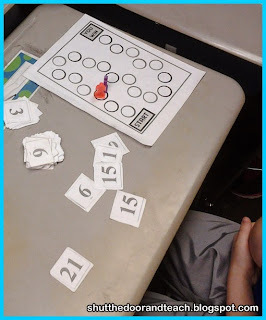 We did a quick and easy to prepare equivalent fraction memory/matching game. Just prepare 6 matches on index cards cut in half, and you're good to go! 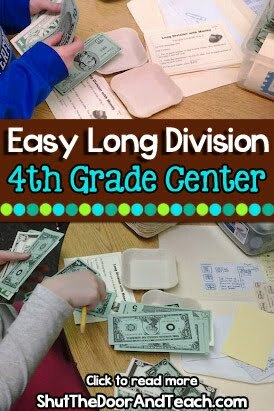 Of course we went back to the Long Division with Money task cards (here you can read my original post on the Long Division with Money Task cards). By this point the kids were intrinsically motivated to do their best separating the bills into equal amounts as directed on the cards, so I could skip the recording sheets. They were the teachers, after all, helping the kids in the other class, so this was all the accountability we needed today! If you want a closer look at this product, here is where you can download the preview file for my Long Division with Money task cards. 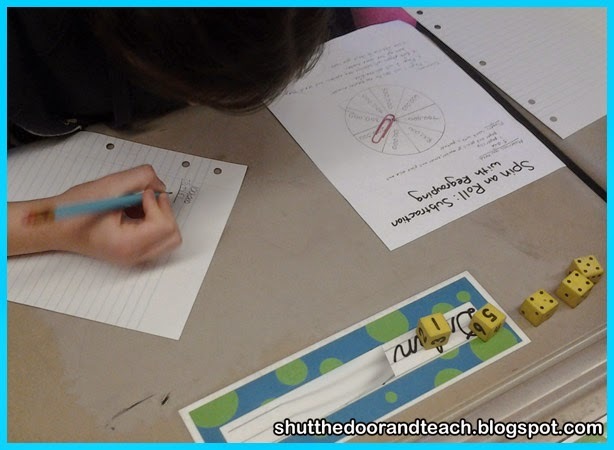 To boost the confidence of my math phobic students, I pulled out the Spin and Roll Subtraction wheels. They were able to firm up their skills with this review and feel a sense of accomplishment the week before the big test. Because MCAS has lots of question types, so no sense losing points on what should be an easier computation skill. I love that the first thing S. wanted to do on her Museum Trip after paying for admission was to go buy a burger, haha. At the start of the year, this student loved reading best. Now as he is planning his Perfect School Day it looks like he's happy to double the math time compared to reading and spend a full hour on it early in the day, woo hoo! Other favorites were the Candy Craze marketing scheme and the Cookie Problem baking schedule. These problems helped kids remember why we REALLY need math. It's not just about passing a test, and it's not always about finding just one right answer. Math is also about learning to make good decisions involving time and money. How did you keep your students calm in the face of THE TEST this year? My May Slant Box Has Arrived!